SKU: 88767676. Category: Women, Sunglasses. Tags: contrast, highbrow. Oversized cat eye sunglasses by ASOS Collection. 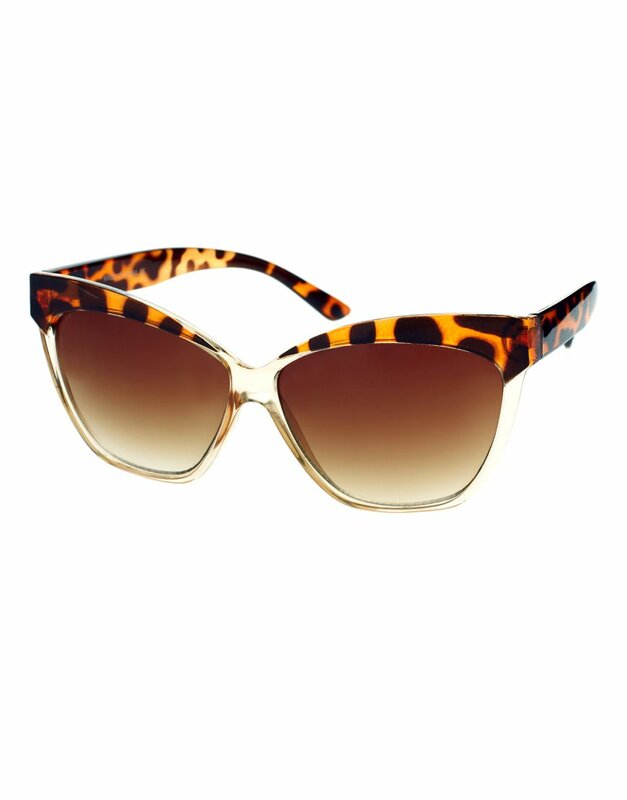 Featuring transparent frames with a contrast leopard print brow panel and upturned cat eye corners, printed tapered arms and graduated tinted lenses. Directional, exciting and diverse the ASOS Collection makes and breaks the fashion rules. Scouring the globe for inspiration, our London based Design Team is inspired by fashion’s most covetable trends; providing you with a cutting edge wardrobe season upon season.